Last season’s records: 2-9 overall; 1-6 South Fork 2A; seventh place. Last season’s results: Carolina Wildcats, W 47-6; Foard, L 26-40; at Alexander Central, L 36-40; at Bessemer City, L 27-32; at W. LINCOLN, L 49-56; at LAKE NORMAN CHARTER, W 55-7; E. LINCOLN, L 31-35; MAIDEN, L 6-30; at NEWTON-CONOVER, L 6-49; LINCOLNTON, L 41-56; at BANDYS, L 50-53. Last season in state playoffs: 2007, 2AA. Last state playoff victory: 2007, d. Salisbury 21-14, second round. All-time state playoff bids: 6. Conference titles (or shares) since 1980, last: None. Leading returning rusher: Clayton Cribb, 6-0, 215, Sr. (262-1,080, 14 TDs). Leading returning passer: Zach Rhodes, 6-0, 170, Jr. (1-1-0, 51, 1 TD). Leading returning receiver: Rhodes (34-552, 8 TDs). Other key returnees: Jake Soorus, 5-11, 180, RB, Jr.; Sam Brady, 6-3, 190, WR, Jr.; Wyatt Painter, 6-2, 270, OL, Jr.; Joe Elberti, 5-11, 195, OL, Jr.; Blaine Chaney, 5-11, 220, OL, Sr.; Gage Simms, 5-9, 155, WR, Sr; Christian Delaney, 5-11, 155, K, Sr.; Devan Gray, 5-7, 155, RB, Sr.
Top newcomers: Landon Beard, 5-9, 160, QB, Jr.; Daniel Carter, 6-1, 185, RB, Jr.; Craig Rathbone, 5-11, 165, QB, Soph. ; Terry Ferrell, 5-11, 175, RB, Sr.; Jason Isenhour, 5-11, 180, RB, Jr.; Trevoli Price, 6-3, 190, OL-TE, Soph. Players to watch: Jacob Harman, 6-1, 220, LB, Sr.; Jake Soorus, 5-11, 180, LB, Jr.; Sam Brady, 6-3, 190, DB, Jr.; Gabe Youngblood, 6-0, 220, DL, Jr.
Nearly half of the Knights’ starters – including their leading rusher, Clayton Cribb – are back as Nick Bazzle is working in his home county and area in his return to coaching. Cribbs has already said he is going to play college football for Army, which in many ways fits the kind of team Bazzle, from past history, is after. 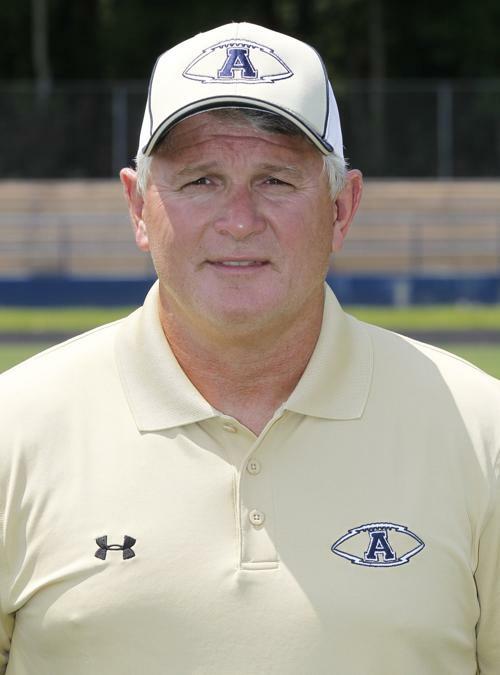 In his years as Newton-Conover and Alexander Central – where he won 129 games in 17 years – Bazzle, a former East Lincoln linebacker, could “coach up” the hard-nosed kids that complemented the superior athletic kids and make something out of that mix. His challenge at North Lincoln will be having enough of each of those mixes as he starts to work on building the foundation in a program hungry for consistency. Cribb can play, as can junior RB Jake Soorus, and the Knights proved in baseball last season what they can do in a team-first atmosphere. The graduation of QB Reed McRorie, who signed with Wingate, is going to leave North Lincoln looking for a go-to guy on offense (Cribb can carry that load, but in a different way). McRorie was in many respects under-rated and could really throw the football. Without McRorie, not sure the Knights can get into score-a-thons like they did last season at Bandys (53-50 loss)… and Bazzle’s not much for those anyways. Will North Lincoln win more games than a year ago? Probably. Will the Knights contend for the South Fork 2A title? That’s probably pushing it. Will they come up and surprise a team or two that has a shot at contending for the title? Very likely. 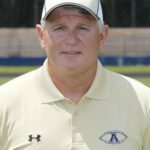 Bazzle’s not much for showing his hand early, if at all, but he will know how good his team can be very quickly – after playing Fred T. Foard in the second game and certainly after lining up against his former team, Alexander Central, in the third game on Aug. 31.